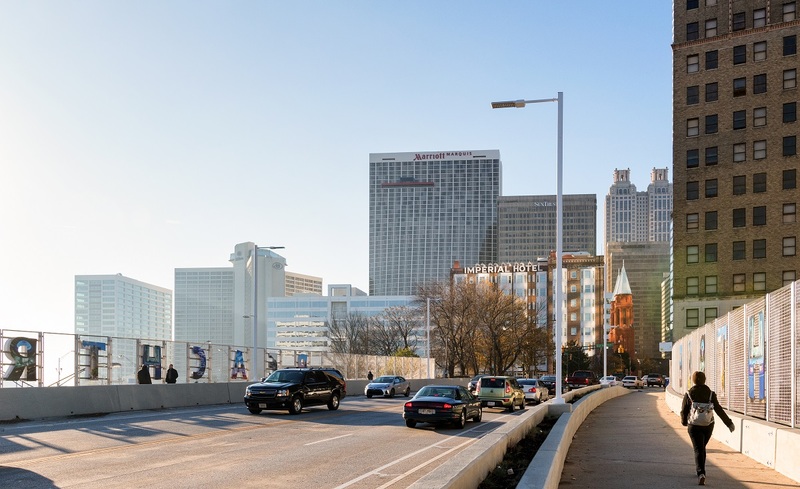 If you don't know your Fairlie-Poplar from your Marietta Artery, we can help you by introducing you to Downtown Atlanta's neighborhoods. Fairlie-Poplar was Atlanta's turn-of-the-century central business district, and today many of the buildings are over 100 years old. Much of the area is designated as a National Register Historic District, and many of the city's oldest high-rise buildings found here have recently been converted to condominiums and apartments or higher education uses by Georgia State University. The area exudes a human scale neighborly feel with a high concentration of residents, restaurants, nightlife, and the arts all within close proximity to each other. South Downtown boasts a great deal of character and is one of the oldest sections of Atlanta. In addition to the concentration of city, state, and federal government offices, South Downtown also is home to the soon to be redeveloped Underground Atlanta. The area is becoming a hub of authentic loft residential development in former 19th-century hotels, department stores, and other commercial buildings, in addition to its burgeoning arts community. Sweet Auburn combines history with an assorted collection of independent retail, restaurant, and entertainment venues. Home to not only the Martin Luther King, Jr. National Historic Site, Ebenezer Baptist Church, and the Sweet Auburn Curb Market, this historic area is seeing new investment as well. Previously vacant storefronts are being filled with coffee shops, restaurants, nightclubs, and art galleries. Sweet Auburn Works, a Main Street organization, initiates and supports economic development initiatives and projects that promote commerce, tourism and the relentless preservation of historic places within the Sweet Auburn Historic District. The Centennial Hill neighborhood is an area rich with new investment. Home to two residential condominium buildings, Post Centennial’s 400 units of multifamily housing, and direct proximity to the Centennial Park District, this neighborhood serves a variety of users in Downtown. The Marietta Artery, previously an industrial corridor formed along the Western and Atlanta Railroad, historic neighborhood went into decline in the 1960s as tenants closed shop. However, in recent years, many adaptive reuse projects have sparked interest in the area once again. Many of these historic buildings have been rehabilitated and now stand as office and residential lofts, restaurants and art galleries. Centennial Place is a 60-acre community bordering the Georgia Institute of Technology and Centennial Olympic Park. With the first phases completed in 1996 in time for the Olympic Games, Centennial Place replaced the former Techwood and Clark Howell Homes, and it has received recognition nationwide for both planning and site design. This walkable community truly feels like a neighborhood and boasts rental and for-sale units that attract a diverse group of residents. Listed on the National Register of Historic Places and one of eight Landmark Districts in the city, Castleberry Hill is made up of historic warehouses that have been converted into residential lofts, restaurants, pubs, art galleries, salons, and coffee shops. Adjacent to the rail lines that were integral in Atlanta's formation, Castleberry Hill has become an artist's haven. The neighborhood hosts the Second Friday Art Stroll on the second Friday of every month. The Art Stroll shows off a diverse and electic collection of art. In addition to the galleries, neighborhood businesses often also display art and host events on the Second Friday Art Stroll. SoNo, aka South of North Avenue, is a diverse neighborhood that connects the heart of Downtown to Midtown. One of Downtown's earliest redeveloped residential areas, SoNo truly offers a mix of all residential housing types; single family homes, town homes, apartments, high-rise condos, and garden-style condos. The neighborhood also has a mix of commercial uses and boasts claim to the Bank of America Building, the tallest building in the Southeast. In addition, SoNo is home to many restaurants and has an active nightlife. Largely made up of single family residential units, O4W is one of the oldest residential areas in the city of Atlanta. Now, the redevelopment of Ponce City Market and the Atlanta Beltline is spurring development on the east, and Sweet Auburn is creating excitement on the west of the Old Fourth Ward. This area is poised to experience a boom in redevelopment in the coming years.